Odion Ighalo helped Shanghai Shenhua to victory against Beijing Renhe. 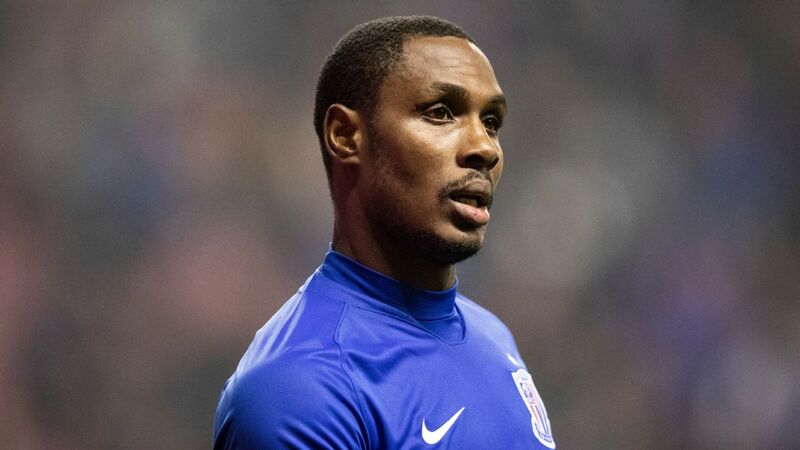 Odion Ighalo struck twice as Shanghai Shenhua thrashed Beijing Renhe 5-1 on Sunday, a second straight Chinese Super League victory for Quique Sanchez Flores' side. Shenhua followed up last week's victory over Henan Jianye with a comprehensive win in which they raced into a three-goal lead by the 35th minute thanks to efforts from Giovanni Moreno, Fredy Guarin and Ighalo. Ighalo added Shenhua's fourth midway through the second half with a cheeky back-heel and Zhang Lu scored the fifth 10 minutes before the end, leaving Makhete Diop to net a consolation for Renhe with just four minutes remaining. "We played well today, even though we didn't do so well in the opening 15 minutes," said Flores, who joined the club ahead of the current season. "But after we scored the first goal the players' confidence obviously improved and it's a satisfying result. "We are at the start of a process, with a new coach who is bringing new ideas and tactics. So this is a process of adjustment and I hope we will continue to improve until the end of the season." Vitor Pereira's side, who won the title for the first time last year, slipped to a surprise first loss of the season against Chongqing Lifan. Chongqing, however, took all three points with a 3-2 win when Shanghai goalkeeper Yan Junling palmed Mawlanyaz Dilmurat's low cross into his own goal three minutes into stoppage time. Chris Coleman's Hebei China Fortune drew 0-0 with Tianjin Tianhai and Dalian Yifang are still looking for their first win of the season after a brace from Brazilian forward Johnathan earned Tianjin Teda a 2-1 victory over Choi Kang-hee's team.